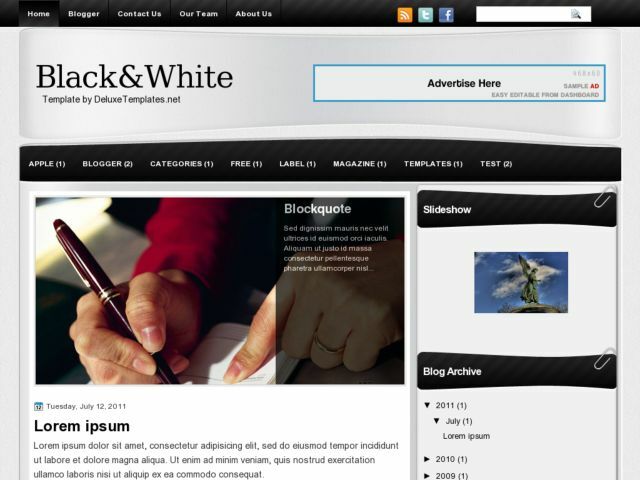 Black and White Blogger Template is a free blogger template that has two columns and the sidebar on the right side. This template has a color contrast between black and white, its rounded corners style, magazine, simple slider menu, auto horizontal menu labels and more. Suitable for all type of blogs.